“Here comes the sun (doo doo doo doo)…” I find myself singing this song each morning lately as I wake up. It’s been an exceptionally wet winter this year in California, so with spring right around the corner I couldn’t be more excited for a few dry days. 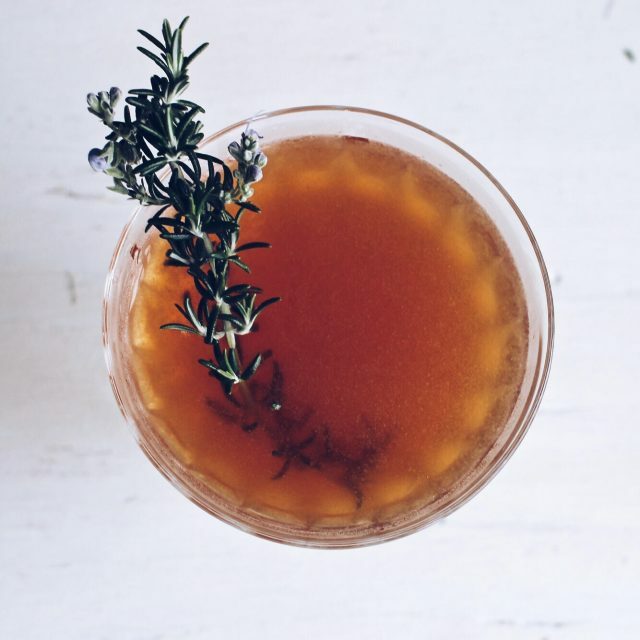 And yet, I’m not necessarily ready to jump into too-easy-to-finish summer-style cocktails. I still need a bit of a reminder that it’s not actually warm outside. So, I’ve been adding depth to my sour cocktails. 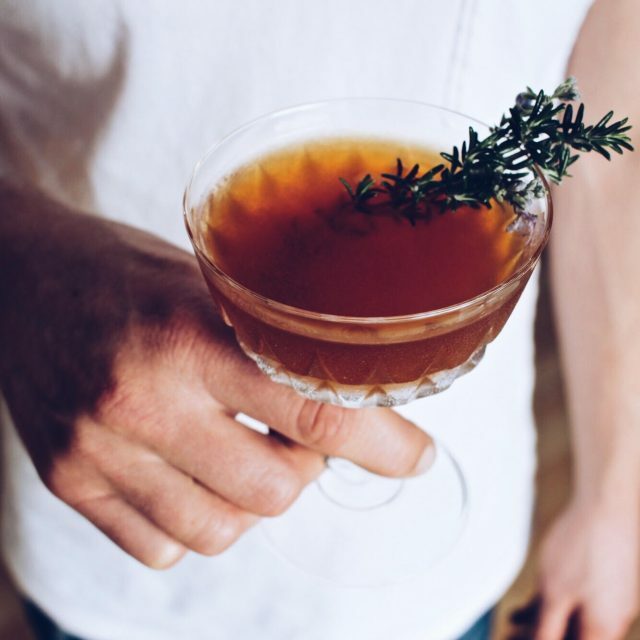 Herbs and spices bring a new dimension to a cocktail. 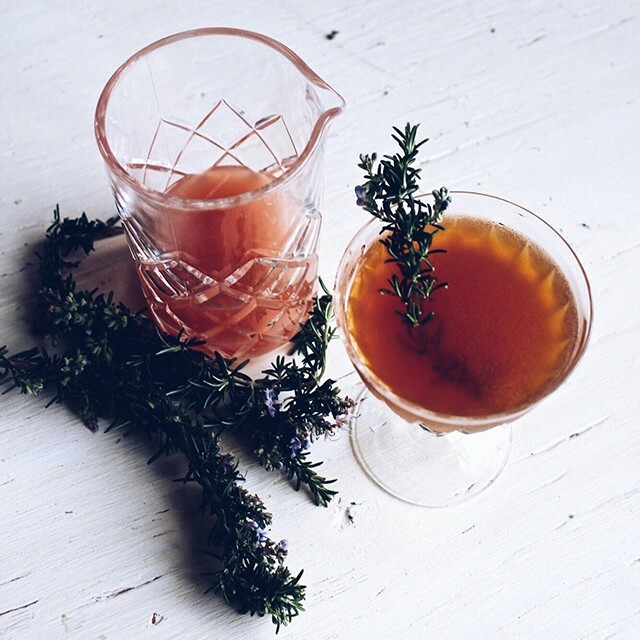 I’ve already shared my infatuation of amaro, so I won’t bother to go down that path again. But, if you’ve written off gin and haven’t tried a genever style, I highly recommend you give it a shot. 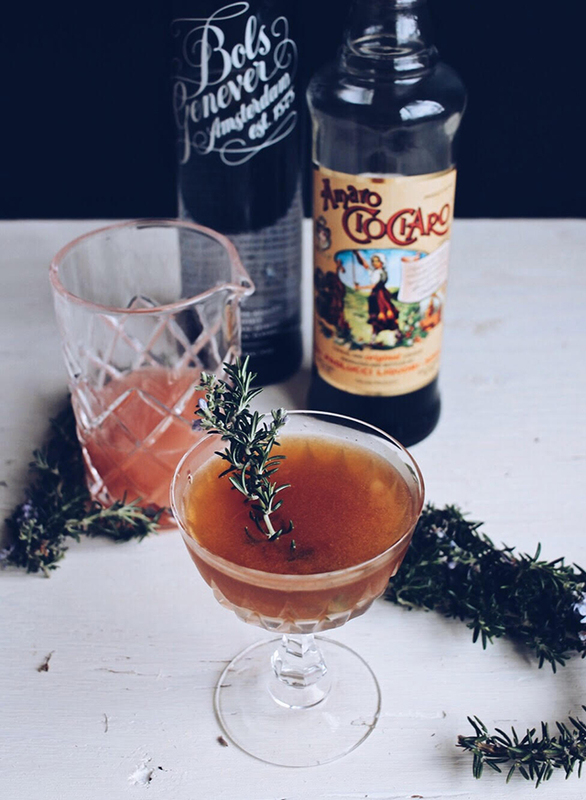 The base of malt wine makes it much softer and sweeter than the typical London style gin. I think that I was first introduced to this spirit when the bartender swapped out rye whiskey for genever gin in a cocktail and I was blown away by how well it worked. Bols is the most common and easy to find in this field. So…. go get it! Add all liquid ingredients into a shaker. Fill the shaker with ice and shake until chilled (frost will develop on the tin of the shaker when it’s ready). Double strain through a fine mesh strainer (like this one from OXO). 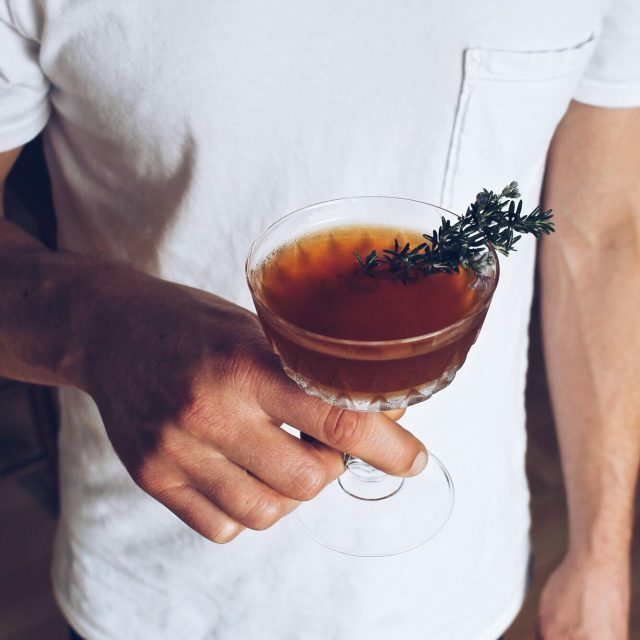 Use a sprig of rosemary to garnish the drink and serve.